Today we’re launching one of my favorite parts of Worldbuilders. It’s something that I would have killed for back when I was struggling to get published. Something that I’ve never seen offered anywhere anywhere else. This year, we have many big-hearted authors, editors, and agents are offering up their services for the good of the charity. (I’m doing it too, though my heart is a small, bitter thing.) We’re making ourselves available to read your unpublished manuscripts and give you our professional opinions on it. Before, we’ve always auctioned these off, because that was the best option we had available to us. But it always bugged me a little, because I know that a lot of aspiring authors don’t have 500 bucks to spend on a critique, even it’s worth twice that much in terms of professional development. This year, we’re still auctioning off a bunch. 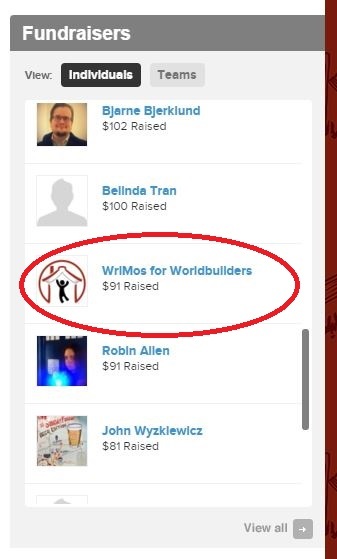 But we’re also making some available lottery style to anyone who donates on the WriMos for Worldbuilders team page. That’s right. If you donate specifically via that page, not only will you be entered into the general lottery (which currently has nearly $30,000 worth of prizes, and that number will only go up), you’ll also be entered into this special, secondary lottery for a manuscript critique. There are stretch goals for more critiques, including one from a literary agent if the page raises $1,500. So share the news with your friend who has been slaving over their book for years. Let your friends who are doing NaNoWriMo know about it. In addition to donating, we have critiques available for auction, for those of you who don’t want to just leave it to chance. 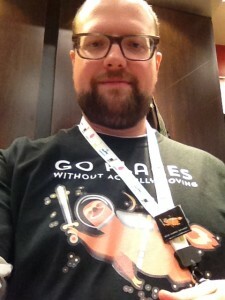 If you don’t win one of these, you can always go in and donate to the WriMos page and still have a chance. We’ve got them separated into the 3 categories, which can slightly correlate to the stages of your manuscript as well. A NOTE BEFORE YOU DIVE IN: We’ve made each critique expandable here, so if you’re interested in one, you can click on it to expand out more information. PLEASE READ THIS INFORMATION CAREFULLY. Enough preamble. Let’s get to the auctions. Authors tend to have a good sense for a story, since that’s what they spend a lot of their time thinking about. 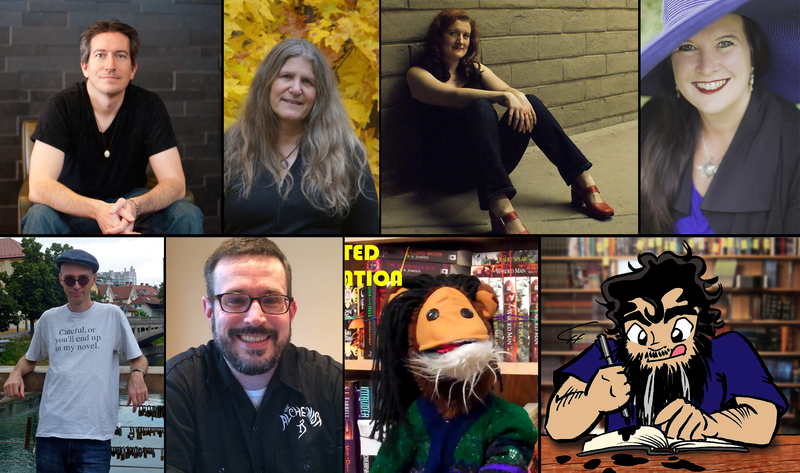 If your manuscript is in a pretty good place, but you’re not sure about some aspects of your story, or the pacing, or something like that, these are the people you should talk to. Brad Beaulieu - up to 10,000 words. 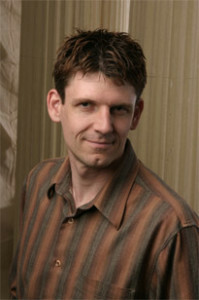 Bradley P. Beaulieu is pleased to offer one story or chapter critique of up to 10,000 words. Brad will draft a formal review that will cover such things as how well the story opens, complicates, and closes, how well the characterization works, dialogue, tone, pacing, tension, and a host of other issues. Essentially, he’ll provide a formal review on the positives and negatives found in the story. 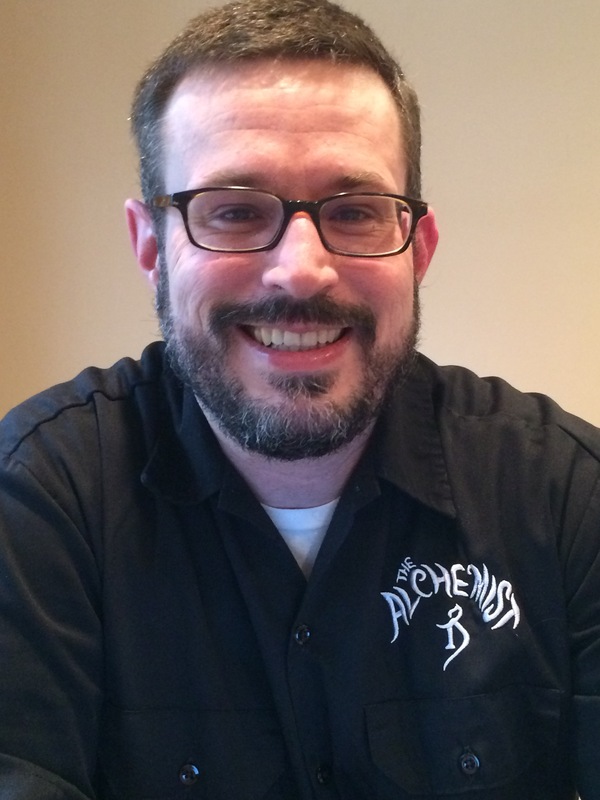 Bradley P. Beaulieu is the author of The Lays of Anuskaya, which begins with The Winds of Khalakovo, continues in The Straits of Galahesh, and concludes with The Flames of Shadam Khoreh. 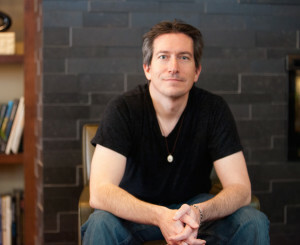 Brad’s new epic fantasy series, The Song of the Shattered Sands, has been sold to DAW Books in the US and Gollancz in the UK. The first book, Twelve Kings in Sharakhai, was released in September of 2015. In addition to being an L. Ron Hubbard Writers of the Future Award winner, Brad’s stories have appeared in various other publications, including Realms of Fantasy Magazine, Orson Scott Card’s Intergalactic Medicine Show, Writers of the Future 20, and several anthologies from DAW Books. 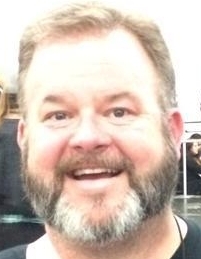 Brad is also one half of the dynamic duo who run Speculate! The Podcast for Writers, Readers, and Fans. Mailing details and contact with Bradley will be set up following the auction. Brenda Cooper - up to 12,000 words of a SF/F short story. 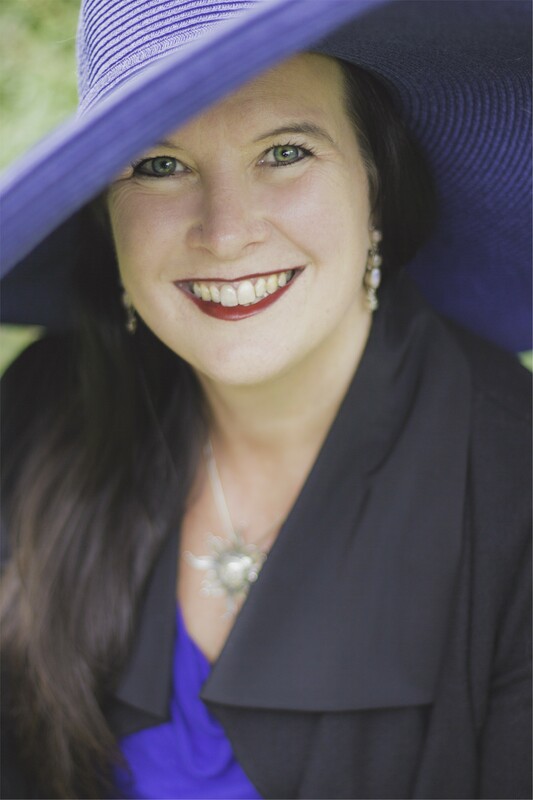 Award-winning Pacific Northwest writer Brenda Cooper will read and critique a science fiction or fantasy short story up to 12,000 words. Her novel-length work is primarily science fiction written for nine to ninety year old readers, and her short stories range across genres and age-groups. In addition to the critique, Brenda will provide a copy of her latest collection, Cracking the Sky. 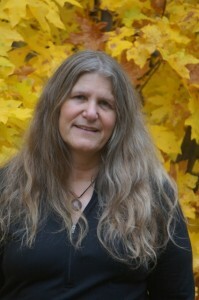 Brenda Cooper writes science fiction and fantasy novels and short stories. Her most recent novel is EDGE OF DARK, which came out in March of 2015. Brenda is also a technology professional and a futurist. Cassie Alexander - first 15,000 words. Jeffe Kennedy - First chapter & synopsis critique. Jeffe Kennedy is offering a first chapter & synopsis critique, along with genre analysis – particularly apropos for anyone writing in romance/romantic elements crossover novels in SFF. She is an award-winning author whose works include non-fiction, poetry, short fiction, and novels. She has been a Ucross Foundation Fellow, received the Wyoming Arts Council Fellowship for Poetry, and was awarded a Frank Nelson Doubleday Memorial Award. Her essays have appeared in many publications, including Redbook. Robert Redick - up to 20,000 words. Back in the states after two years in Indonesia, Rob is the author of The Chathrand Voyage Quartet, described by Locus as “one of the most distinctive and appealing epic fantasies of the decade.” The series began with The Red Wolf Conspiracy and concluded in February 2013 with The Night of the Swarm. He is also a seasoned international development worker and writing teacher, with an MFA from the Warren Wilson Program for Writers in Asheville, NC. He loves all good storytelling but has a soft spot for the literary end of the SF/fantasy spectrum. Rob is offering a critique of the beginning of your novel (to a maximum 20,000 words), and will also be glad to assess a pitch letter or brief summary of the same. He generally includes some line edits, but concentrates on providing no-nonsense, no-attitude feedback concerning structure, clarity, consistency, pacing and other fundamentals of narrative. Most importantly, Rob is always careful to search for your intentions and aspirations for the story, rather than imposing his own. Michael J. Martinez - up to 25,000 words of a SF/F work. Michael J. Martinez is the author of the DAEDALUS trilogy, the most recent of which, THE VENUSIAN GAMBIT, came out in May and earned a starred review from Publishers Weekly. He’s also the author of the upcoming “spy-fi” series MAJESTIC-12, with MJ-12: INCEPTION due out next fall from Night Shade Books. Michael will critique up to 25,000 words of your SF/F novel (or a shorter work), including both an overall opinion on the strength of the work, thoughts on individual sections, and ideas on direction and ways to improve. This doesn’t include line edits, but he’s willing to answer questions and engage in a dialogue to help make your work better! Brett Hiorns - up to 150,000 words. 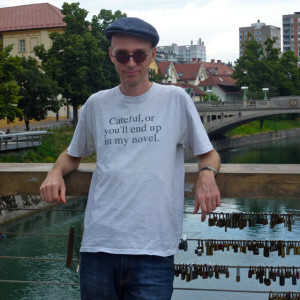 Brett Hiorns will read and critique your manuscript (up to 150,000 words). Pat Rothfuss - up to 150,000 words. Patrick Rothfuss (international bestselling author, lover of women, and hirsute iconoclast) will read your manuscript and give you critical feedback. (Up to, say, 150,000 words.) We’ll schedule this based on when your manuscript will be ready and the endless madness of my own schedular constraints. I’ll read through your manuscript, scrawling notes and dirty words in the margins, then I’ll call you on the phone and we can discuss it. Or we could do a Google+ hangout. Or, if you live close, we can get together and chat over coffee. I won’t write you up a detailed critique because that’s not how I roll. But we’ll chat for a couple of hours discussing the various strengths and weaknesses of the book, your writing craft, and I’ll offer any suggestions I might have. Then I’ll mail you back the manuscript with my notes on it. Editors and Agents are equally good at story, but they’re also good at marketability and editing. This is the “I feel pretty confident in my manuscript, and I’d like to see if it can be taken to the next level” level. Joshua Palmatier - up to 7,500 words of a short story. Joshua Palmatier (co­editor of the DAW Books anthologies AFTER HOURS: TALES FROM THE UR­BAR and THE MODERN FAE’S GUIDE TO SURVIVING HUMANITY and the Zombies Need Brains anthologies CLOCKWORK UNIVERSE: STEAMPUNK vs ALIENS and TEMPORALLY OUT OF ORDER) will read and evaluate your short story (up to 7500 words in standard manuscript format) within six weeks of submission. He will write a general evaluation of the story and mark up the manuscript using comments and track changes in the document itself, although this will NOT be a formal line or copy edit, simply commentary at specific points in the short story. Joshua Palmatier (www.joshuapalmatier.com) has had six dark, epic fantasy novels published by DAW, most recently SHATTERING THE LEY, five short stories in various anthologies, and has co­edited four anthologies with Patricia Bray, including TEMPORALLY OUT OF ORDER. He is also founder of the small press Zombies Need Brains (www.zombiesneedbrains.com), which focuses on producing quality SF&F­themed anthologies. His experience is mostly with all forms of fantasy, science fiction, and horror. His intent will be to offer editorial advice on how to improve your novel and to use his experience as both author and editor to make it the best it can be. Joshua has requested that you send him your manuscript no later than July 1, 2016. David Pomerico - first 50 double-spaced pages. David Pomerico is an Executive Editor at Harper Voyager, where he acquires and edits fantasy, science fiction, and horror while also overseeing the day-to-day direction of the imprint. Before joining Voyager, he was at Bantam Spectra, Del Rey, and 47North, working with a diverse group of authors and projects. His focus, editorially, is to help authors hone and polish their stories so that something he’s already committed himself to can reach the widest popular audience. He believes editing is a process of collaboration, and ultimately wants to work with authors who are looking not simply for a publisher, but a publishing partner. You can probably Google him if you want to find out a bit more about him. He’s offering a detailed critique and commentary (but not a line edit) for the first 50 pages or so of your manuscript (double­spaced, please—and no margin shenanigans! ), which he will get back to you within three months of receiving the manuscript. Although it doesn’t need to be science fiction, fantasy, or horror (he reads pretty much all genres), those are his areas of expertise. And while he could possibly be blown away and want to make an offer on your book, this isn’t guaranteed (otherwise this might be a really pricey auction!). Mike Braff - Approximately first 50 pages (rounded up to end of the chapter). 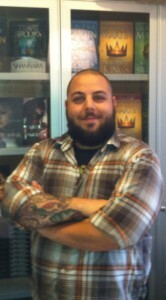 Mike Braff is an editor at Del Rey Books and has been part of the editorial team there for the past six years. He is in charge of the merciless slaying of enemies by battleaxe, the boarding and capturing of space craft in zero-g, and the management of a sect of magic users that secretly runs the paranormal underground in New York City. Not true, sadly, but he does love to read and acquire books about these things and other related sci-fi, fantasy, and urban fantasy topics. Though he’s from New York originally, Mike once went to Canada for a few years to study Comparative Religion and World History at McGill University (BA ’07). Much to everyone’s surprise (including his own) the course of study proved useful when acquiring and editing fantastic stories for Del Rey, where Mike has been lucky enough to work with the likes of Pierce Brown, Kevin Hearne, Jason M. Hough, Matthew Stover, Ted Kosmatka, Alan Smale, and newcomer Indra Das, among many other talented authors. He lives in Brooklyn with a rescued pit bull named Ruby, adorable pictures of whom will be provided in abundance upon request. 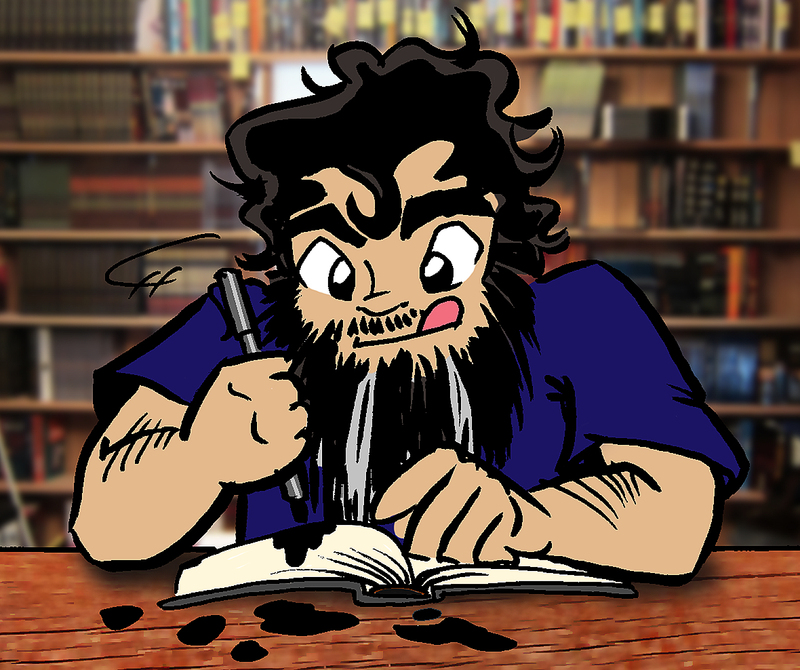 He’s offering a detailed critique and commentary for the first 50 pages or so of your manuscript (rounded up to the end of the last chapter). This is not a line edit, but Mike will get back to you within 90 days of receiving your manuscript with an editorial letter detailing his thoughts and suggestions. Jaime Lee Moyer - first 75 pages. 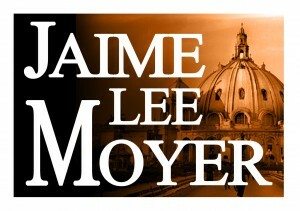 Jaime Lee Moyer is a speculative fiction writer, poet and editor. Jaime is the author of Delia’s Shadow (Tor, September 2013), A Barricade In Hell (Tor, June 2014) and Against A Brightening Sky (October 2015). Delia’s Shadow won the 2009 Columbus Literary Award for Fiction, administered by Thurber House and funded by the Columbus Art Council, and is nominated for the Salt Lake County Libraries Reader’s Choice Award. She doesn’t take herself nearly as seriously as those credits imply. Jaime’s short fiction has appeared in Daily Science Fiction, Lone Star Stories, and two of the well-respected Triangulations anthologies. 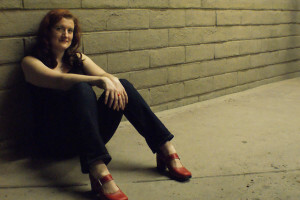 She was the editor of the 2010 Rhysling Anthology for the Science Fiction Poetry Association, and a poetry and short fiction editor for a semi-pro zine for five years. Jaime is the current editor for the Online Writing Workshop For Science Fiction, Fantasy and Horror monthly newsletter. For a short period of time she read slush for a literary agent, and has critiqued more novels and short stories than she wants to count. Matt Bialer - up to 20,000 words. Matt Bialer (literary agent) will read and evaluate the opening chapters of one manuscript (up to 20,000 words) within three months of submission, not including the last few weeks of December. He will read and critique, and help the author think about the issues that could be raised by editors at publishing houses. He will write a general evaluation of the book, both strengths and weaknesses, but line editing is NOT included. 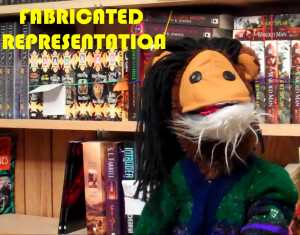 If the book is fantastic or has the potential to be fantastic then offering representation is not out of the question — but representation is not a guarantee. This is something completely new this year. A copy edit is a really big deal, and honestly something that most people don’t think about. Most authors don’t get this chance until their book has already sold, but it makes a huge difference in the readability of a manuscript. Richard Shealy - Either a novel-length copyedit, or short novel & pitch copyedit. Richard Shealy has been a reader of SF/F as long as he can remember, and he finally figured out he might make a living from that by combining it with his horrifyingly enormous word-nerdery. In his still relatively new career (he started in this racket less than three years ago), he already has had the enormous pleasure and honor to work with a number of authors and editors from across multiple spectra, not to mention becoming completely certain that he has found his dream job (seriously, people pay you to nitpick their babies?). He tweets occasionally via @SFFCopyediting but far more prolifically in the guise of his alter ego,@SheckyX. Caveat: Taking anything seriously from the alter ego is a massive waste of time. Richard is offering a copyedit of novel-length manuscript (or short story and its pitch). Includes typo correction, continuity observation, voice/character consistency, context-appropriate grammar adjustment, fact-checking where needed. For a list of works he has copyedited, visit http://sffcopyediting.com/index.php/what/ and scroll down until you see the wall of cover images! There you have it folks. 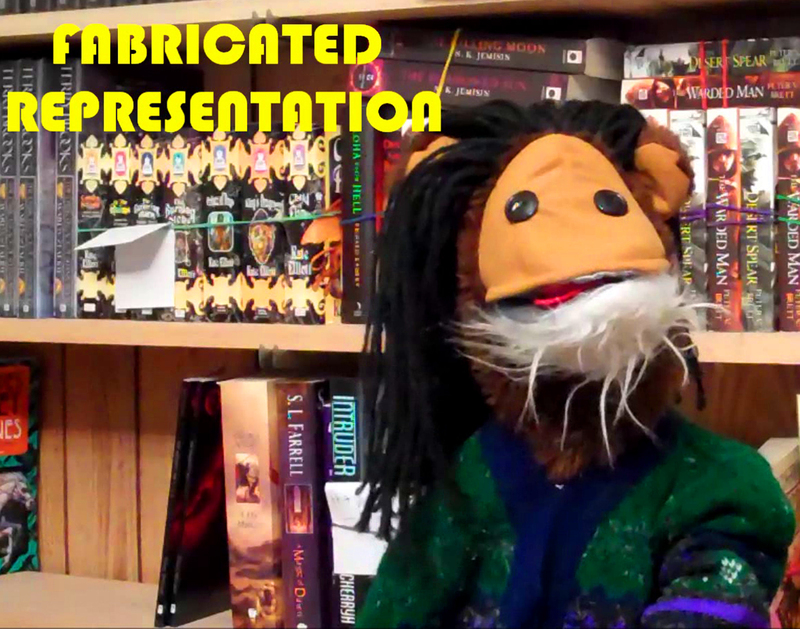 You can bid on one of the 15 auctions we have going, or you can contribute to the WriMos for Worldbuilders page to be entered into the second lottery for other critiques. I’m sorry. But we *did* encourage people to check out the team pages…. That one has been there from the beginning. If you’d like us to attribute your donation to the WriMo page, I think we can do that. And by “we” I mean Amanda. Let’s see which one gets here first. No, that’s fair. I’ve seen the team pages before in past years, and poked at them, but didn’t figure there’d really be anything different this year, so I sorta ignored them. I’ll try to pay more attention next year. 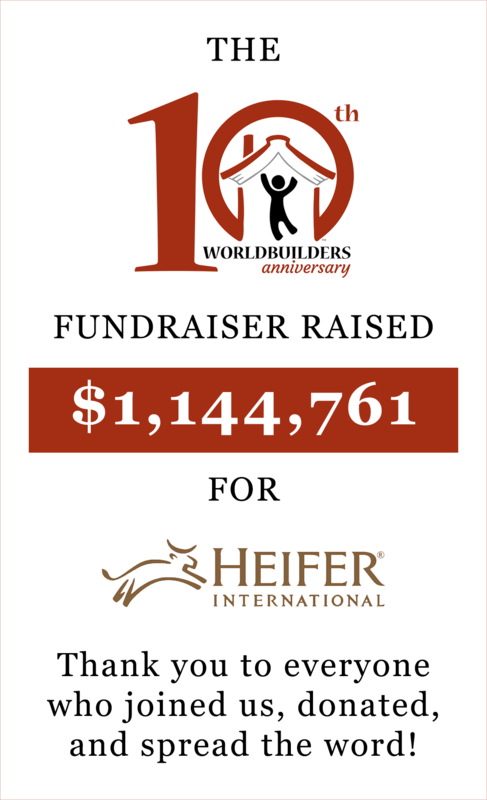 I still love you guys, and am so glad that Worldbuilders keeps getting more awesome every year. We can definitely shift your donation over! Shoot an email to questions (at) worldbuilders (dot) org, and we’ll get it taken care of. Given her fast response time (and what Amanda said about Fallout 2 today at lunch) Rachel is now officially my favorite employee. Can I send text in spanish? Unlikely I know, but i have to ask. Sorry. I’m pretty sure none of our people are fluent in Spanish…. I’m a bit of a no one, but I love illustrating scifi/fantasy book covers. And I’m not bad at it. Any chance this could become a thing? auctioning the talents of illustrators for book cover purposes? I mean I guess this would only market toward indie authors, but there are a lot of those out there these days, and getting a good cover illustration tailored to your book is difficult. I know you guys probably have your hands full as it is, but this struck me as a neat idea. Baby tossers of the world, unite! I sure miss that age.